Not to be outdone by Apple’s use of fingerprint scanning technology in the iPhone 5S, Samsung is mulling the possibility of including iris recognition technology in the next Galaxy S smartphone. That’s one of the hints Samsung Exec Lee Young Hee dropped on Bloomberg in a recent interview at CES 2014. Samsung already played around with eye tech in the Galaxy S4, which included eye tracking technology. The feature can automatically scrolls down for you as your eyes move down a Web page, or pause a video when you look away. But a possible inclusion of iris recognition tech would presumably be used as a security feature similar to Apple’s Touch ID in the latest flagship iPhone. Lee also said Samsung would “get back to basics” with the Galaxy S5, focusing on a new display and cover for the device. Many critics—ourselves included—felt that the S4 was far too similar to the S3 in its look and feel. Along with the S5 launch, Lee said the company would also introduce a thinner Galaxy Gear smartwatch with a more expansive feature set—which doesn’t really tell us much, since adding features and slimming down the body are the primary changes in any gadget from one generation to the next. Both devices would be released in the spring around March or April, in line with previous Galaxy S launches. The S4 was introduced on March 14 last year, and the S3 debuted on May 3, 2012. Samsung may also have some interesting plans for the next iteration of the Galaxy Note “phablet” expected later in 2014. Rumors from late 2013 claimed Samsung would use a curved display on the Note that would allow the handset to display text messages and other notifications on the edge of the device. That’s not a huge surprise since at CES 2013 Samsung showed off a prototype “phablet” with that exact feature. Samsung’s first mass market adventure into curved displays hit store shelves in October with the Galaxy Round. 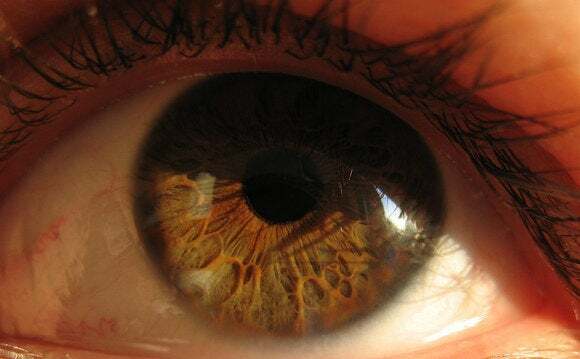 This story, "Samsung exec teases iris recognition for the Galaxy S5" was originally published by TechHive.